This obituary for Richard Hart by Louis Moyston appeared in Jamaica’s Observer. RICHARD Hart died on December 21, 2013. He has been hailed as a radical thinker, a historian, and a public intellectual in several articles since the announcement of his death. This article describes him as a social and political historian. It locates Richard Hart in the tradition of historians that write history from the ground up; emphasising the role of “those from below” in making history. He is ranked, therefore, with the likes of George Rude and his The crowd in history: a study of popular disturbances in France and England, 1730-1848; Eric Hobsbawn in Primitive Rebels, and also CLR James in The Black Jacobins. Richard Hart was also a founding member of the People’s National Party in 1938, a period that he documented with serious interest and extreme care. He was not just a Jamaican historian, but also a significant political activist and Caribbean labour movement leader. As a historian, Richard Hart investigated the role of individuals and groups and their interactions within their larger setting (social). He looked also at the operations and activities of the institutions of government, political parties and trade unions in the colonial setting (political). These frameworks inform his writing of history from the “ground up” as reflected in some of his major works: Slaves Who Abolished Slavery, Rise and Organise — The Birth of Worker and National Movement in Jamaica (1936-1939) and Labour Rebellion of the 1930s in the British Caribbean. The writer examines the historical activities as they occurred in their natural environment. This approach enables the researcher to provide primary historical evidence that highlight insights and understanding from the perspectives of those being studied, offering the greatest promise to the contribution to the historical knowledge of modern Jamaica. His style of writing makes the events and activities vivid. The accuracy of the portraits he depicts in his works rely not only on his creative writing skills, but also ability to apprehend the “qualities” that permeate the activities and interactions of individuals and groups, and transform those experiences into public texts. In the first book, Hart located the “rebel” slaves in the history of their own liberation. The great-man conception of history on the role of the missionaries in London and Queen Victoria dominated the story of Emancipation of slaves in the West Indies. He unearthed buried treasures of black people’s history, helping to redefine the white man’s perception of blacks as brutes incapable of fighting for their own freedom as they seek to answer the question of who am I? 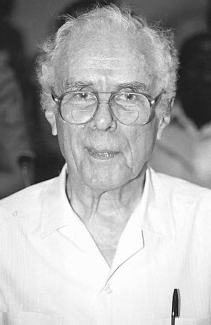 Hart’s biography intersected with the history of modern Jamaica. He possessed what C Wright Mills calls the “sociological imagination”, that enlightened eyes through which he saw “qualities” in remote events and individuals during the critical years leading up to 1938. I say remote because the dominant history of the period is a reflection of selected “great men”, whose biography and activities became the history of that period. In his book, Rise and Organise – The Birth of Worker and National Movement in Jamaica (1936-1939) is a fine interpretation of the pioneering political and trade union leaders that emerged from the mass activities and uprisings, and also the ideas about the changes in the leadership of the labour movement up to 1939. Among the important features of this work is his recognition of the importance of the strike at Serge Island, Seaforth, St Thomas, that began 26 December 1937 and ended with a brave resistance 5 January 1938. He notes, “the unrest at Serge Island of unorganised workers resulted in a strike in which the workers rejected Bustamante’s role as mediator, and police from outside of the parish were brought in to quell the disturbance”. This was an important event that set the precedence for that collection of protests and resistance that brought down the old planter/colonial administration. His Marxist orientation may have prevented him from recognising the role of race in that Seaforth uprising, linking the influence of the early Rastafarianism in anti-colonial politics of the 1930s. Hart identifies the true trade union leaders of those critical years leading up to 1938. The 1930s was an important decade, not only for Jamaica but for the world in general. There are some important activities that took place in rural Jamaica during the struggling ’30s that attracted the careful attention of Richard Hart. For example, Robert Rumble and his peasant organisation and activities in northern Clarendon played an important part in agitation for land for the landless in the 1930s. The major works of Richard Hart are important sources to refine and rewrite the history of this important decade of our history. His works are begging for further studies by today’s students of history and politics. This account of his social and political history can be found also in his Labour Rebellion of the 1930s in the British Caribbean. His work reflected his practice. He was a Jamaican historian but he had a passion also for the history of the region looking collectively at those “on the ground” and their role in the process of decolonisation. It was against this background that he “functioned as secretary for the CCL (Caribbean Congress of Labour)”. Hart looked to the region because his expulsion from the PNP relegated him to the periphery of Jamaican politics. He worked also for Cheddi Jagan, with whom he shared similar political thinking, in Guyana during the mid-1960s. After his tour of duty in Guyana he migrated to England where he continued his research and writing. He returned to the region in 1982 to assist Maurice Bishop’s People’s Revolutionary Government (PRG) of Grenada. He became the Attorney General of the PRG. When Jamaica could not find any use for Hart, other places called him for his professional services. He was indeed one of those persons who was rejected by national politics (of Jamaica) in the name of political expediency. His greatness was reflected in his will to survive and also to serve outside the status quo. There should always be a place for our brightest and best even when they think contrary to or become critical of the system. Richard Hart was, indeed, a great Jamaican thinker. I hope that one day his name will be enshrined at the high table of Jamaican honour for his contribution to historical thought and political practice.